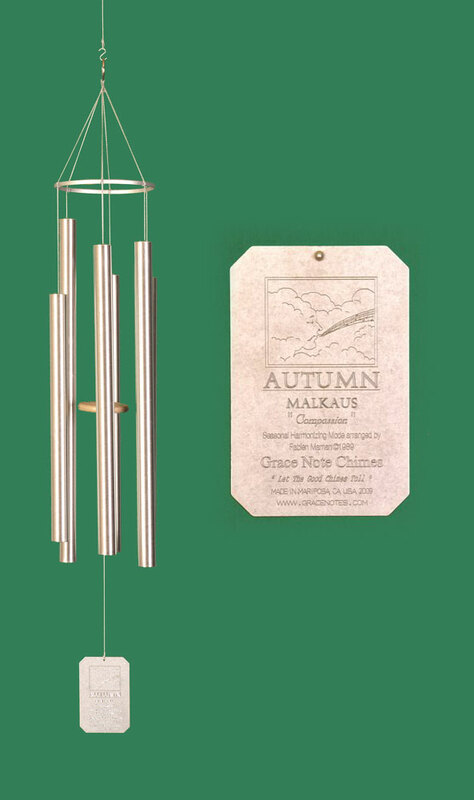 If you want the most beautiful-sounding and well-built wind chimes on the market, you've come to the right place. Welcome to Grace Note Chimes. All chimes are tuned in the key of C, with the corresponding notes and chords engraved on one side of each aluminum windplate. 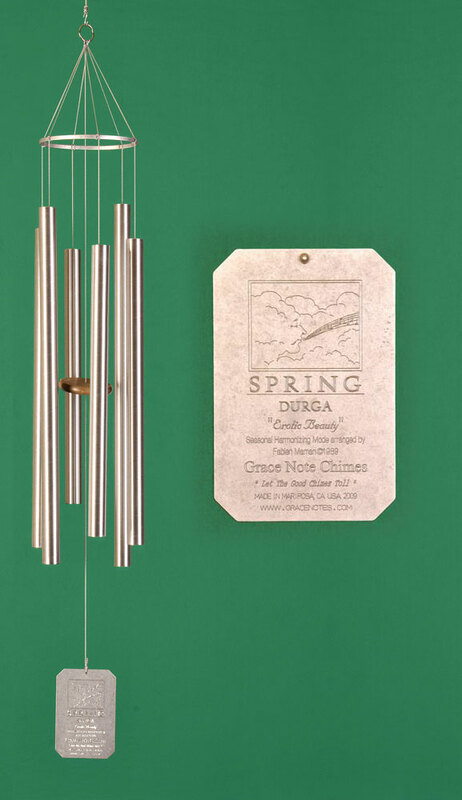 Classic wind chimes are handcrafted from thick-tempered aluminum tubing, with a soft brushed finish. 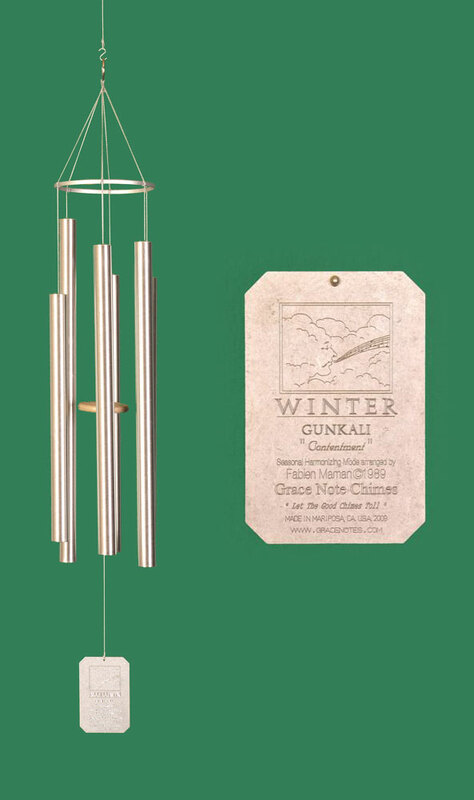 Each chime now features recycled composite lumber strikers - composite lumber is not only environmentally friendly but it also creates a softer contact sound when applied to wind chime tubing. These strikers are not subject to drying or cracking and require no maintenance. 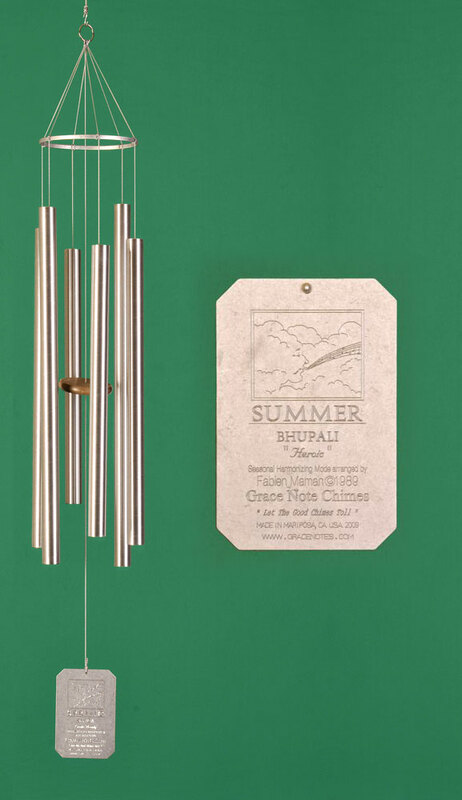 Our chimes make great gifts, and can be delivered gift wrapped with a personalized engraving. With over 20 years of history, Grace Note Windchimes, like our product, has stood the test of time. 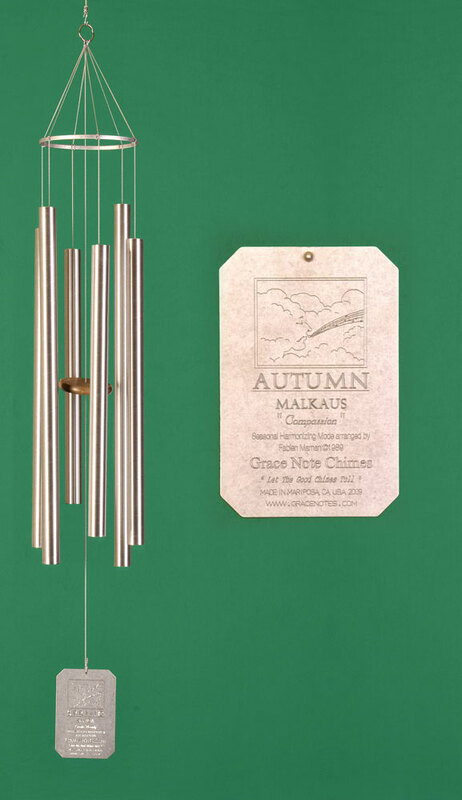 The quality of our chimes and our attention to detail continues to drive our company into the 21st century and ensures that our chimes will keep tolling well into the future. Buy with pride! 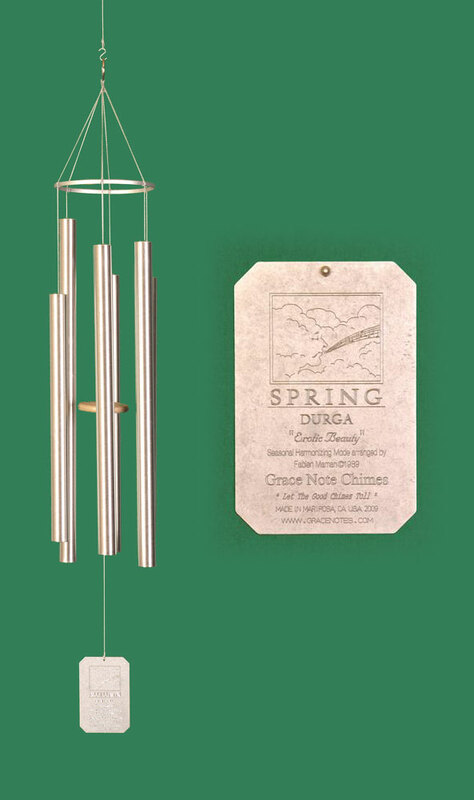 All of our chimes and products are made in the USA. If you’re trying to reach sendgracenotes.com – cards of support when you’re needed most, click here.